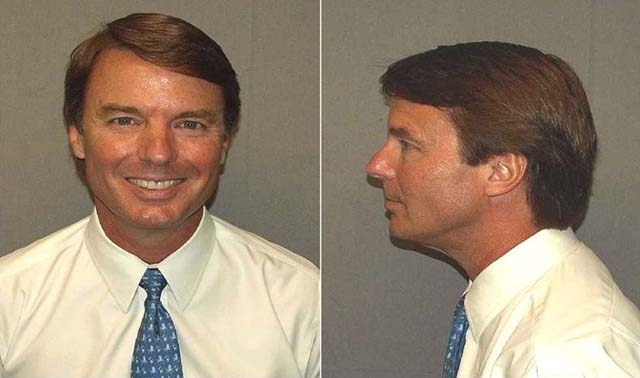 John Edwards, the former U.S. Senator and Democratic vice presidential nominee, was photographed by the United States Marshals Service following his indictment on six felony charges. Edwards, 58, entered not guilty pleas during his June 2011 arraignment at the federal courthouse in Winston-Salem, North Carolina.